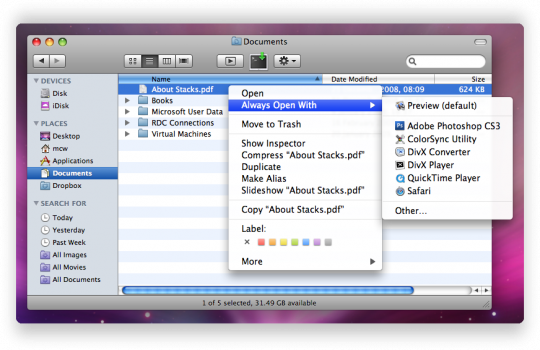 Always open a file with a particular application in Mac OS X — the easy way. When you wish to open a file using a particular application, it’s simple. Just right-click on the file (ctrl+click) and select Open With. However, if you’d like that file to always open with the selected application then things are less elegant: right click, Open With, Other…, select the application and tick Always Open With. Fiddly. Fortunately there is an easier way. 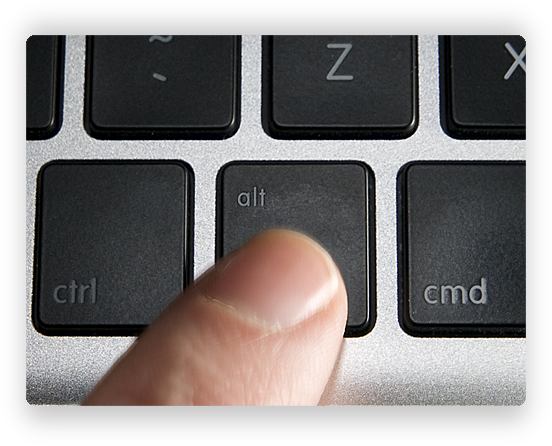 Right click on the file as before, but this time depress the alt key. Hey-presto, the Open With option changes into Always Open With. The above method sets the default application for this file only. If you’d like to change the default application for all files of a type (a kind in Mac OS speak) then here’s how to do it.